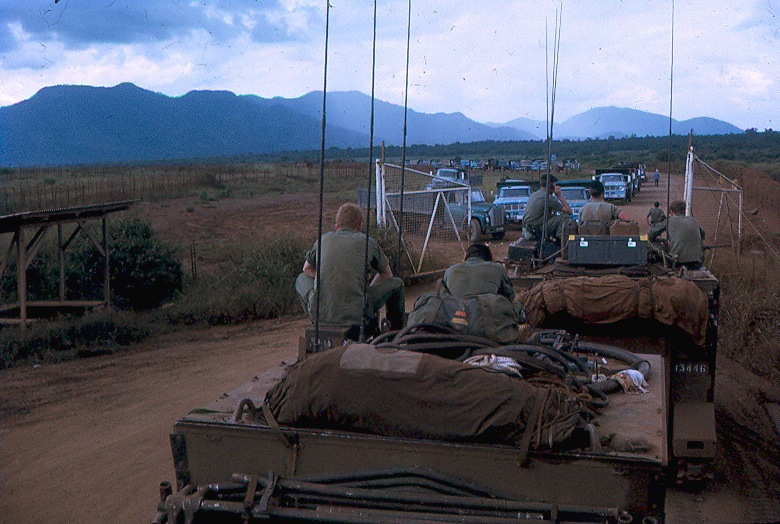 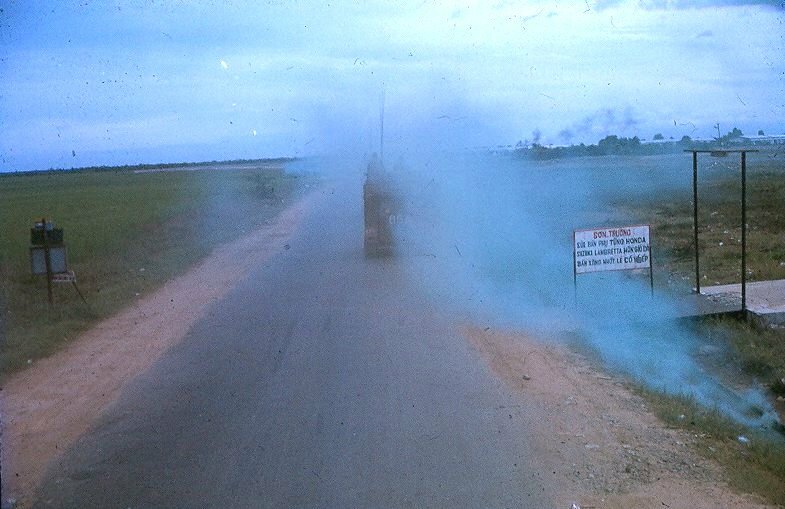 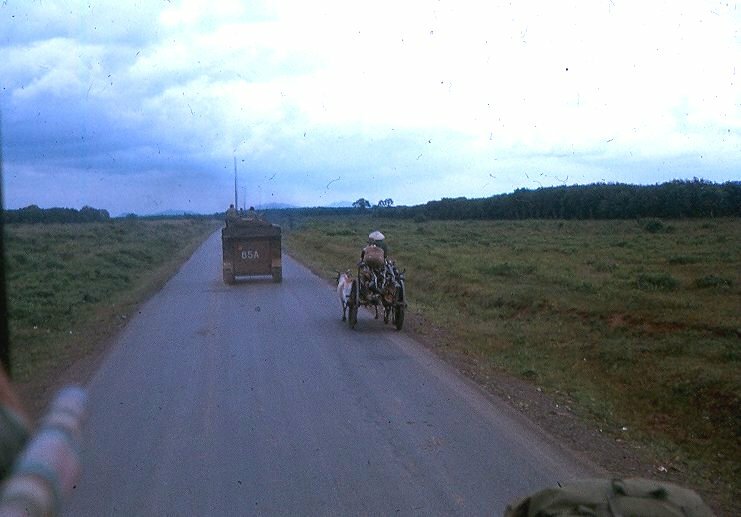 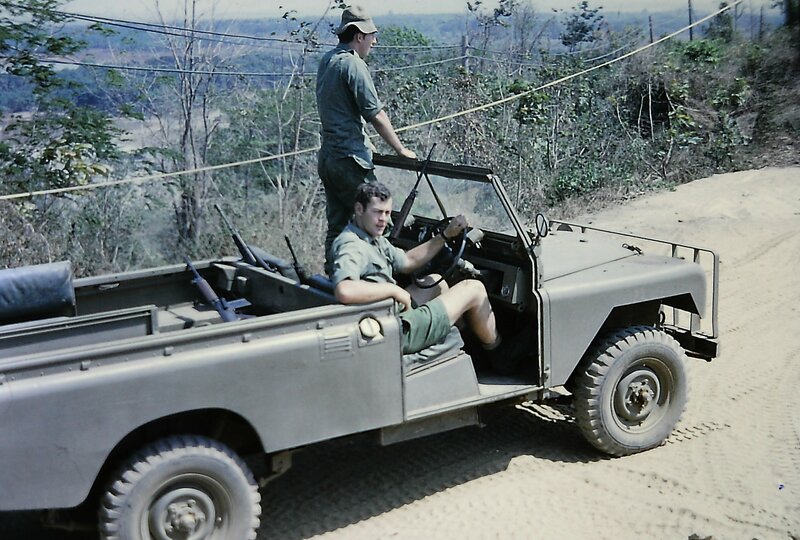 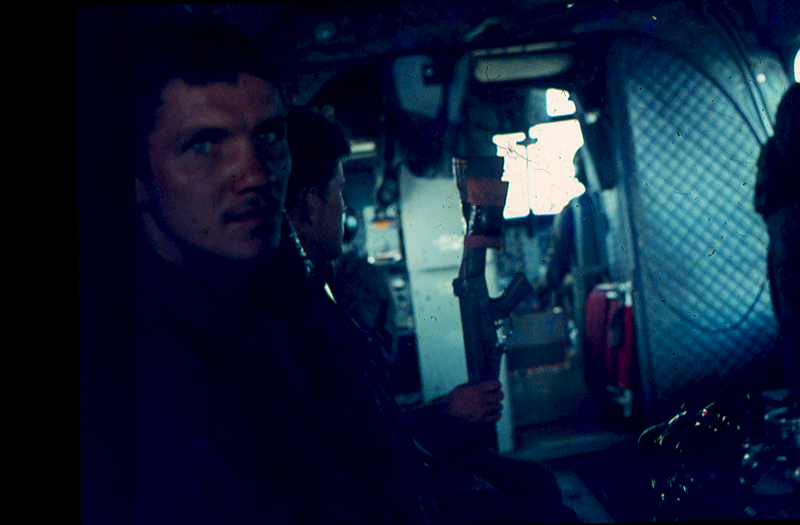 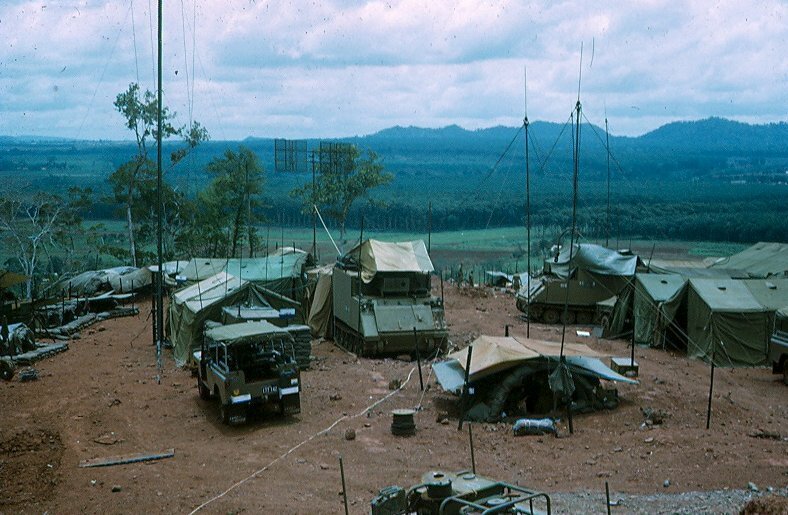 Note: 547 Sig Tp ACV Callsign 85D covered the withdraw from Nui Dat and was the last 1ATF vehicle to leave late on the 16 Oct 1971. 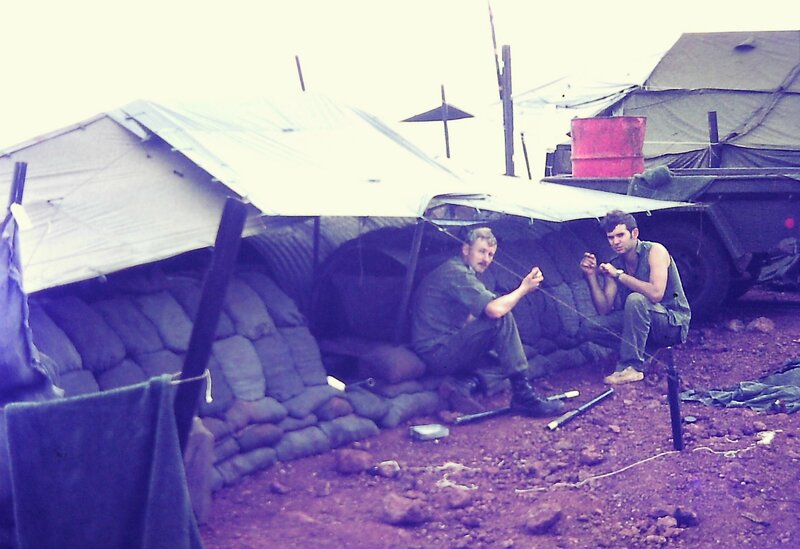 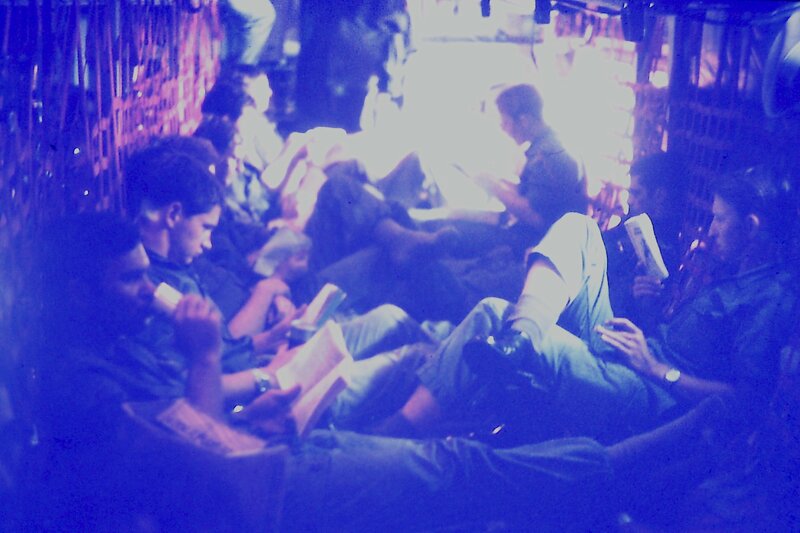 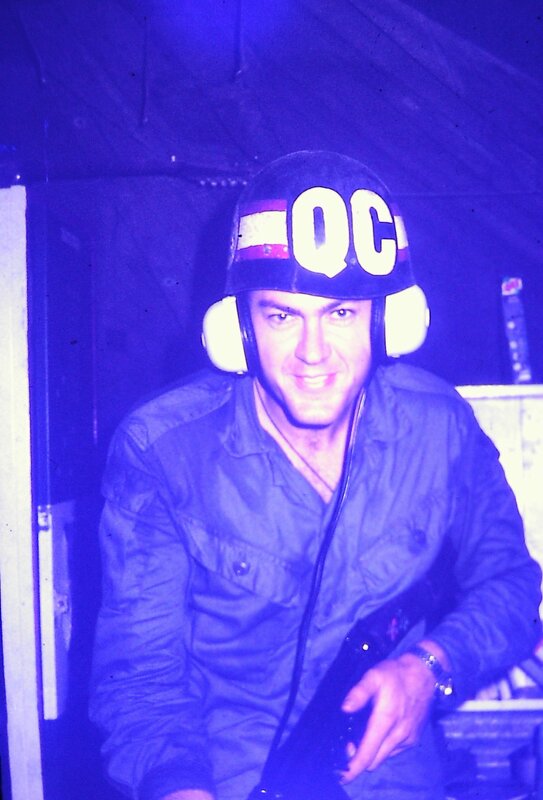 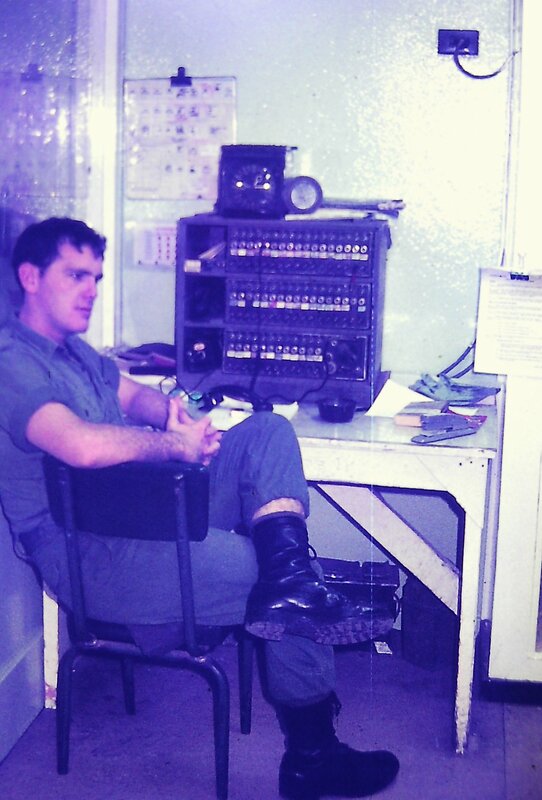 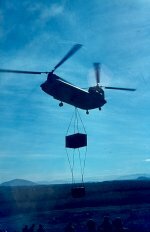 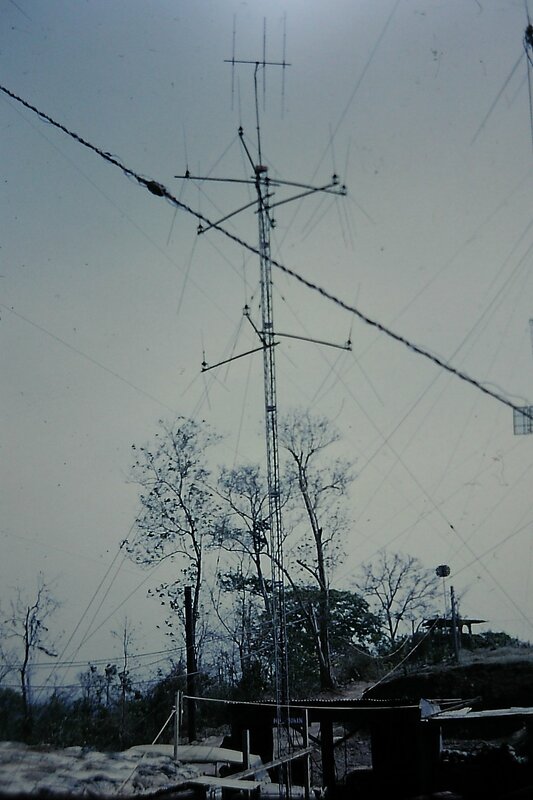 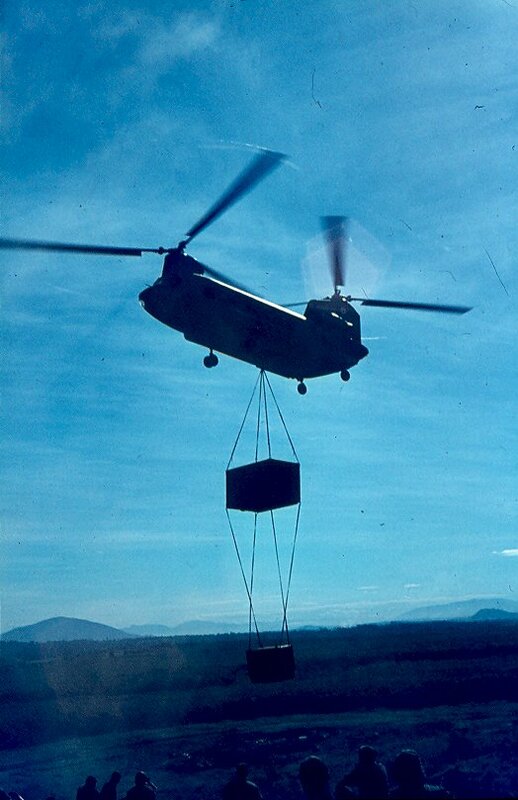 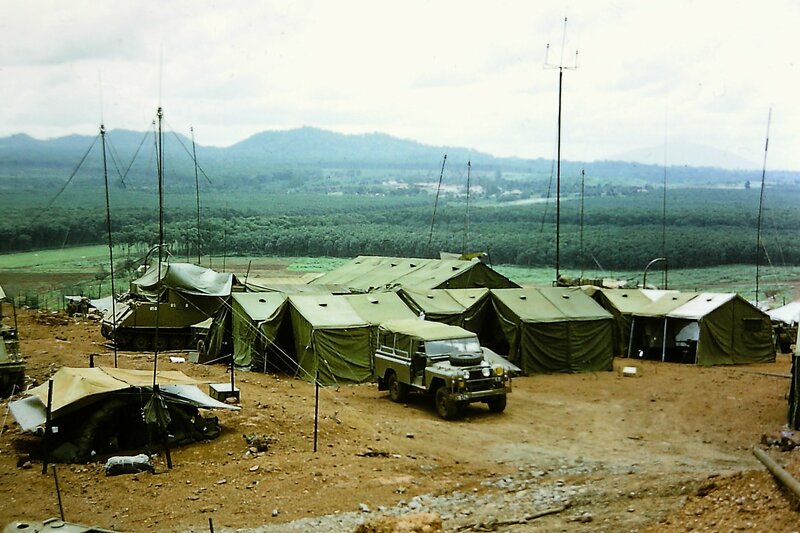 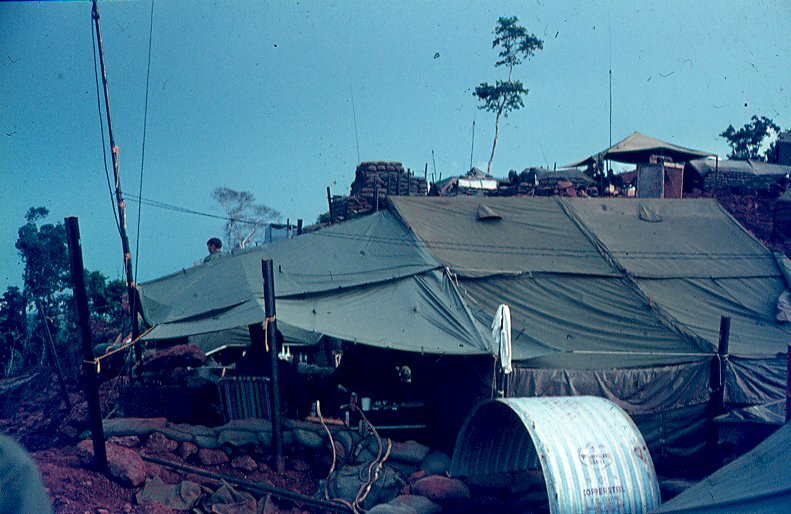 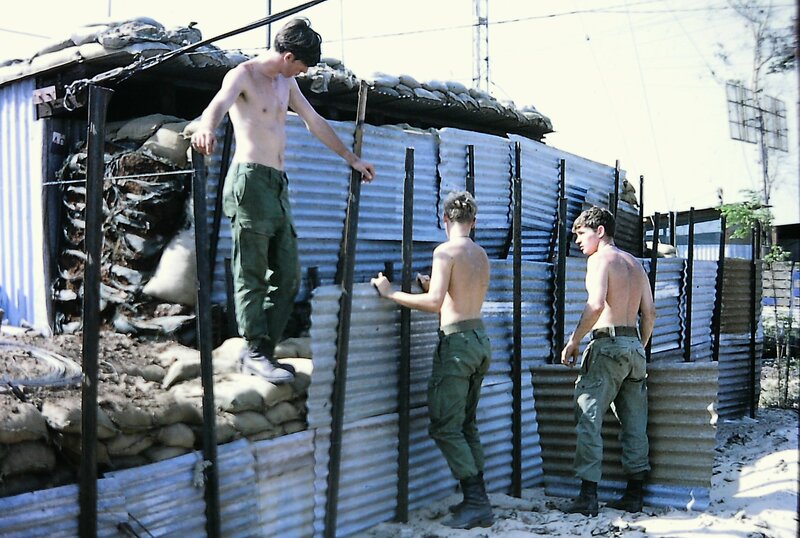 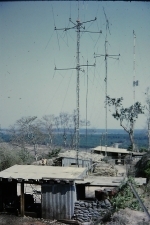 104 Sig Sqn ACV 85C remained at Nui Dat until 7 Nov 1971 providing communications for the 4RAR/NZ Group. 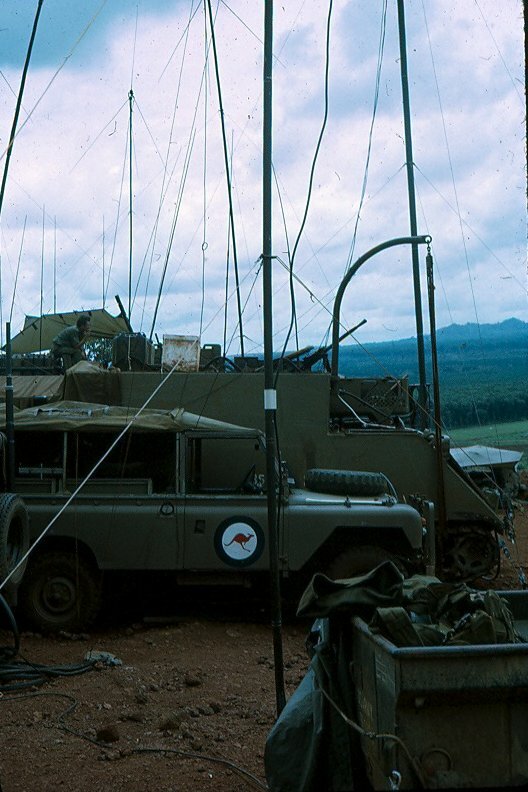 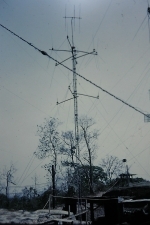 Note: Antenna is from the Radio Set AN/TRC-24 which was part of the Radio Terminal Set AN/MRC-69 which was a radio relay mulichannel radio telephone system. 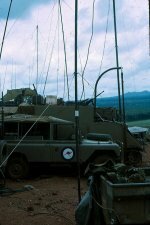 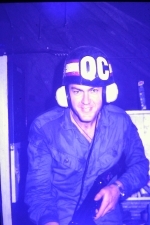 Equipment was housed in a large shelter behind ACV 85C.. 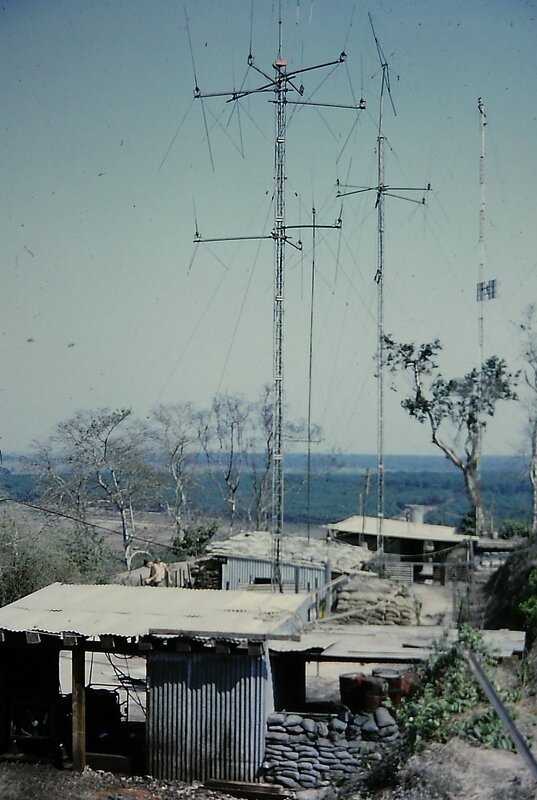 Note: All the VHF Antenna's mainly RC-292's and the two AB-577 masts.